Some of the best artists in the world have illustrated Neil Gaiman’s bestselling books.The words and art in Neil’s books always complement each other and result in stunning literary and visual masterpieces. Meet the contributors that Neil has worked with over the years. 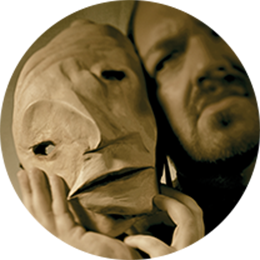 Dave McKean was born in Berkshire in the UK. He attended Berkshire College of Art and Design from 1982-86 and, before leaving he started working as an illustrator. In 1986 he met Neil Gaiman and they have worked together on many projects since, including the Sandman series, The Day I Swapped My Dad for Two Goldfish, Coraline, The Wolves in the Walls, Mirrormask, and The Graveyard Book. 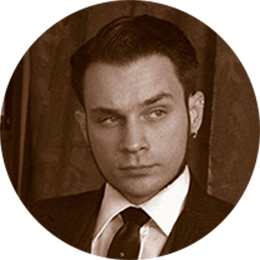 In his career as an illustrator, Dave has won Harvey Awards for Best New Comic and Best Graphic Novel. 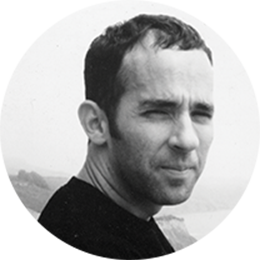 Dave is also a published writer and photographer, a musician, and a filmmaker. He lives on the Isle of Oxney with his family. Gris Grimly used to play in the underground labyrinths of his small hometown. He is an atrocious speller and often puts letters together to create words he’s convinced really exist in the human language. He has written or illustrated fifteen books, including The Dangerous Alphabet by Neil Gaiman. Craig Russell has spent forty years producing graphic novels, comic books, and illustrations. He is well-known for his graphic novel adaptations of Neil Gaiman’s Coraline, The Graveyard Book, and Sandman: The Dream Hunters, as well as his Fairy Tales of Oscar Wilde series. His work ranges from such mainstream titles as Batman, Star Wars, and Conan, to adaptations of classic operas and a Jungle Book series. He has won several Harvey and Eisner Awards. Teddy Kristiansen is a Danish comic book artist and a natural at illustrating mystery, horror, and dark, suspense-filled comics. 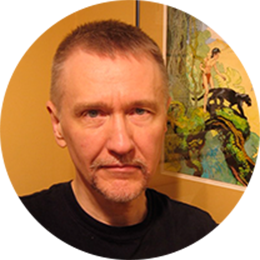 In 2005, Kristiansen won an Eisner Award for Best Comics Painter for his work on the Superman Graphic Novel “It’s a Bird”. Kristiansen was also featured in DC’s 8th issue of Solo. For the Nintendo 64 emulator, see 1964 (Emulator). … A comic book is a magazine or book containing the art form of comics. 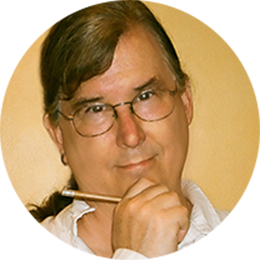 Charles Vess is the illustrator of Neil Gaiman’s Blueberry Girl and Instructions, among other publications, and his work has been featured in exhibits across the nation. His awards include a World Fantasy Award and two Eisner Awards. He lives in Virginia. Brett Helquist is the celebrated artist behind Lemony Snicket’s A Series of Unfortunate Events, Lemony Snicket’s The Lump of Coal, and the first true picture-book-length adaptation of A Christmas Carol, and Odd and the Frost Giants by Neil Gaiman. He also wrote and illustrated Roger, the Jolly Pirate and Grumpy Goat. He lives in Brooklyn with his family. 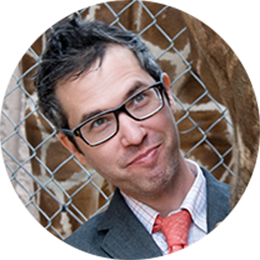 Adam Rex is the author of many children’s books, including the Cold Cereal Saga; the New York Times bestselling picture book Frankenstein Makes a Sandwich; The True Meaning of Smekday; and Fat Vampire. He is the illustrator of Chu’s Day, Chu’s First Day of School, and Chu’s Day at the Beach, all written by Neil Gaiman. He lives in Arizona with his family. 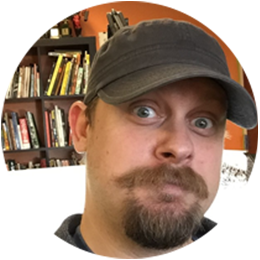 Skottie Young is an award-winning cartoonist and writer who illustrated Fortunately, the Milk by Neil Gaiman, and illustrates the New York Times bestselling adaptations of L. Frank Baum’s Oz novels for Marvel Entertainment. His unique art style and sensibilities have drawn acclaim worldwide, earning him multiple Eisner Awards. He has worked in comics, toys, and animation for Marvel, Warner Bros., Image Comics, Mattel, Cartoon Network, and many more. Skottie lives in Illinois. 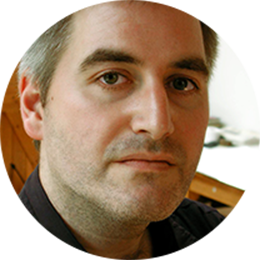 Chris Riddell is an acclaimed British artist who lives in Brighton, England. In 2015, he was named the Children’s Laureate in the UK. He has won the Kate Greenaway medal three times. 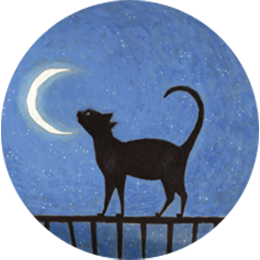 He has written and illustrated many books of his own, including Ottoline and the Yellow Cat and Ottoline Goes to School, and has illustrated The Graveyard Book; Coraline; and Fortunately, the Milk, as well as The Sleeper and the Spindle, all written by Neil Gaiman. Divya Srinivasan lives in Austin, Texas. Her illustrations have appeared in the New Yorker magazine, and she has done work for This American Life, Sundance Channel, and “Weird Al” Yankovic, among others. 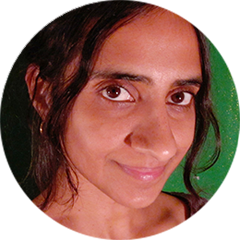 Divya was also an animator on the film Waking Life. She is the illustrator of Neil Gaiman’s Cinnamon and the author and illustrator of the picture books Little Owl’s Night, Little Owl’s Day, and Octopus Alone.